Dark Carnival. Independent Legions, 2019. There’s something in the basement of Maria’s new house—something dark and primeval that made the previous owner commit suicide. It has infected Sickle Falls, giving the townspeople nightmares of a fanged spirit that thirsts for blood. 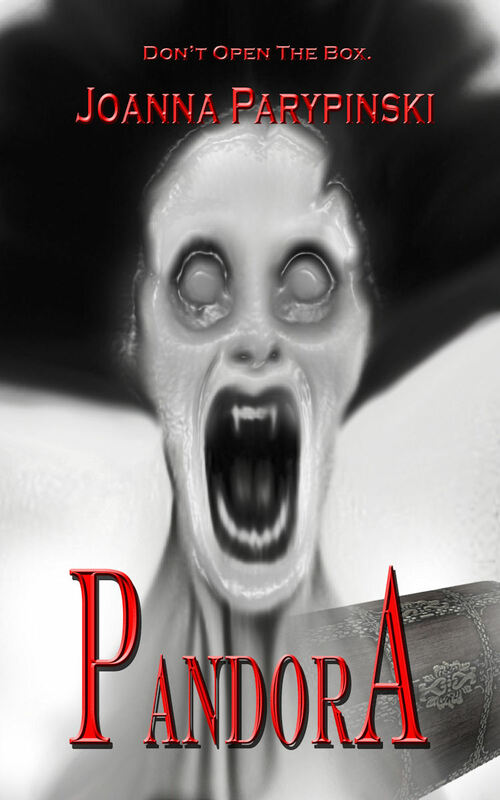 Upon discovering a mysterious ivory chest, Maria must contend with her inner demons as well as physical enemies to stop the horror within from escaping the confines of the box. “Strange Music.” New Scary Stories to Tell in the Dark, ed. Jonathan Maberry, HarperCollins, 2020. “The Stars Are Brightly Shining.” War on Christmas, ChiZine Publications, 2019. “We Are Not Ourselves.” Vastarien, 2019. “The Unwrapping Party.” Spirits Unwrapped, Lethe Press, 2019. “Amalgam.” Not Just a Pretty Face, Dead Light Publishing, 2019. “The House of Y.” Black Static issue 66, 2018. “Twelve By Noon.” Tales from the Lake Vol. 5, Crystal Lake Publishing, 2018. “What’s Coming to You.” Nightmare Magazine, 2018. “The Thing in the Trees.” Nightscript Vol. 4, 2018. “Commencement.” Vastarien Vol. 1 Issue 2, 2018. “The Deepest Part of the Ocean.” The Beauty of Death 2: Death By Water, Independent Legions, 2017. “Wick’s End.” Haunted Nights, ed. Ellen Datlow and Lisa Morton, Blumhouse Books, 2017. “We Are Turning on a Spindle.” Nightmare Magazine, issue 61, 2017. “Graveman.” The Burning Maiden Vol. 2, Evileye Books, 2015. “Poseidon’s Revenge.” Coffin Hop: Death by Drive-In, Coffin Hop Press, 2013. “Shadows.” Dark Moon Digest #11, Dark Moon Books, 2013. “And One for the Road.” Mistresses of the Macabre, Dark Moon Books, 2013. “The Island of Doctor Moldovan.” The Dead Sea, Cruentus Libri Press, 2013. “Lakeshore Drive.” Arcane II, Cold Fusion Media, 2013. “The Garden.” Suffer the Little Children, Cruentus Libri Press, 2013. “Anthem of the Damned.” First Time Dead 3, May December Publications, 2012. “The Viola d’Amore.” Cover of Darkness, Sam’s Dot Publishing, March 2012. “The Abortion.” Indiana Science Fiction Anthology 2011, 2012. “The Fifth.” Alternate Dimensions, Static Movement, 2011. “Nodding Into the Twilight.” HWA Poetry Showcase Volume IV, 2017. “The Cruellest Month.” Literati Quarterly, Fall 2015.